The national president of Actor's Guild of Nigeria (AGN), Ejike Asiegbu, has declared that the AGN is solidly behind troubled Nollywood star, Ibinabo Fiberesima, who was recently sentenced to a five-year prison term for manslaughter by a Lagos court. He said that the Guild would muster all its resources to lend their support to her and make sure she wins her appeal. We're not happy with the judgment. What has happened has happened and we actually, sincerely and genuinely sympathise with the deceased family. A lot of us too have had cause to loose some dear ones through accidents. Our prayers and hearts go out to the wife and the young ones that young man must have left behind. It's a terrible thing and we pray that God will grant them the fortitude to bear the loss. He recalled how he lost his mother and nearly lost his father some years back in a similar manner when she was crushed to death while his father escaped with injuries. But, as he put it, his family never pressed charges against the culprit and regarded it as an accident. 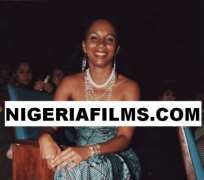 He affirmed, No matter how many years they jail Ibinabo it can not repay for the loss of the deceased. In the same vein, a top chieftain of the AGN in Rivers State, where Ibinabo Fiberesima presides as the chapter chairperson, Ovunda Ihunwo, is also urging all AGN members to rally behind Ibinabo and lend her their support in this very trying moment. According to Ovunda, I have so much sympathy for her because I know what happened. It could have happen to anybody. The thing happened by mistake, it's not as if she took a knife to stab somebody or she carried a gun to shoot somebody. Something happened that she didn't anticipate. The Ibinabo we know is not the type who can do such a thing intentionally. On the implication of the Ibinabo saga on the activities of the Rivers State chapter of AGN as she is the chairperson, Ovunda assured that the activities of the Rivers State AGN would not be affected in anyway and that in the worst case scenario the leadership succession provision in the constitution would apply with the vice chairman stepping up to take the mantle. Ovunda however expressed strong believe that her appeal would be successful and she would continue with her normal life.